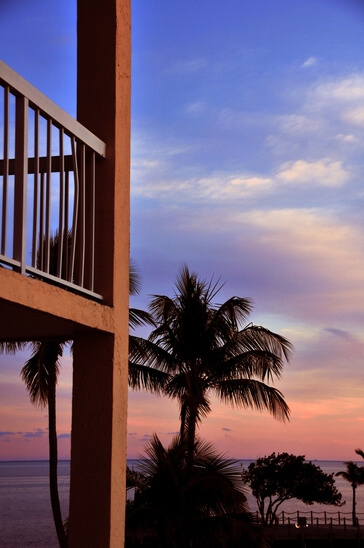 Considering selling a condo or townhome on Singer Island Florida? While most tips are similar about staging, listing and selling properties, some tips are just for Singer Island residents. Here are some of my top tips to selling and staging your Singer Island condo. If you've owned your home for some time you may have forgotten what it's like to be on the buyers side of a purchase. Most of the condominiums and penthouse townhomes on Singer Island are luxury properties and luxury home buyers don't want a lot of mess for work to do once they move in. You need to provide it all for them so that your home will sell quicker for as much profit as possible. Those that are looking for a home on Singer Island do so for the luxury, the ambience, the location and the view. You need to take what features your condominium does have and emphasize them so that buyers understand where the value lies in your home. Most of the condominium buildings on Singer Island will have a variety of amenities to choose from so make sure you emphasize those as well, stating them in a pamphlet, brochure, or notebook that's designed to talk all about the complex and the features therein. Keep things open and airy so that there is a lot of room to expand and move. If buyers enter your condominium only to discover there's not enough room for things in the closet, cupboards or, they may be inclined to choose another apartment or another complex altogether. Clear out about half of the items in drawers, closets, cabinets and pantries so it looks like there is plenty of room. Open the curtains, drapes, and turn on the lights anytime there's a showing. You want to feature the beautiful view, Crystal pristine waters of the Atlantic Ocean, and all of the benefits to having a view style condominium. Most homebuyers purchasing a condo on Singer Island do so for the luxury and relaxation so make your condominium the ultimate retreat. Add fresh greenery to the bathrooms with fresh white towels; create a sitting room that overlooks the water or create a luxury setting on the balcony with two wine glasses, a bottle of wine and maybe a vase of roses. Homebuyers on Singer Island are looking for an experience and the lifestyle so provide that in staging your condominium. Every home is unique regardless of whether the condominium with in a building or a single-family home. Emphasize the features and uniqueness of your home by providing an experience that home buyers won't soon forget. Call me today if you're interested on more tips to staging your Singer Island condominium or penthouse.